The Three-Layer-System is something Musto developed to optimise comfort across wide temperature bands and exertion levels without inhibiting freedom of movement. The concept began by catering to the sailing market in 1979, but now the benefit of true sporting performance is available for shooters too. The 3 Layer System is based on a simple principle – water transmits heat thirty times faster than air, so wet skin gets cold thirty times quicker than dry skin. 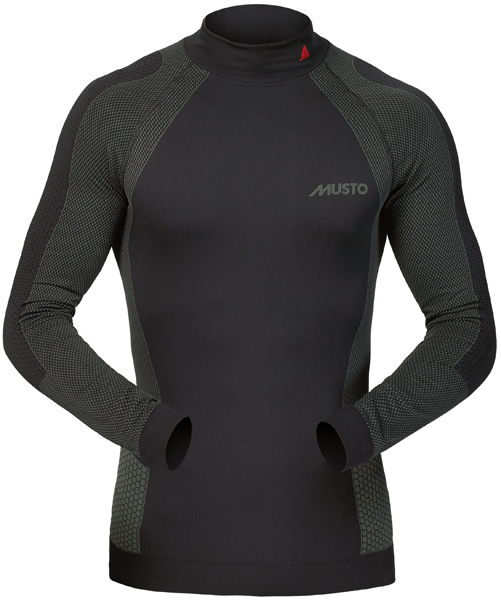 Therefore, to stay warm in extreme conditions you need to stay as dry as possible – Musto figured out that the best way to do this was through fabric technology which transfers body moisture away from the skin, retains warm air close to the body and keeps water out. The three-layer-system consists of a close fitting base layer, a warm mid layer and a waterproof outer layer. New for Autumn Winter 2014/15 is the Musto Storm Jacket, which has been specially developed to work as a perfectly tuned cog in a brilliantly designed three-layer machine. Warmth and comfort starts from the inside, that’s why the Evolution Base Layers are so integral to the three-layer-systems’ success. They are constructed from natural fine insulating fibres, making these high performance garments remarkably thin. They have flat lock seams and are deliberately cut long for ultimate comfort and non-restrictive movement. The outer surface is hydrophobic and quick wicking, the inner surface is hydrophilic – which allows it to absorb a third of its weight in water without feeling damp or wet. Amazingly, this construct is also anti-bacterial, naturally odour resistant and anti-allergenic… yay no smelly, sweaty rash! The ability to retain your body’s heat is where the mid-layer comes in. 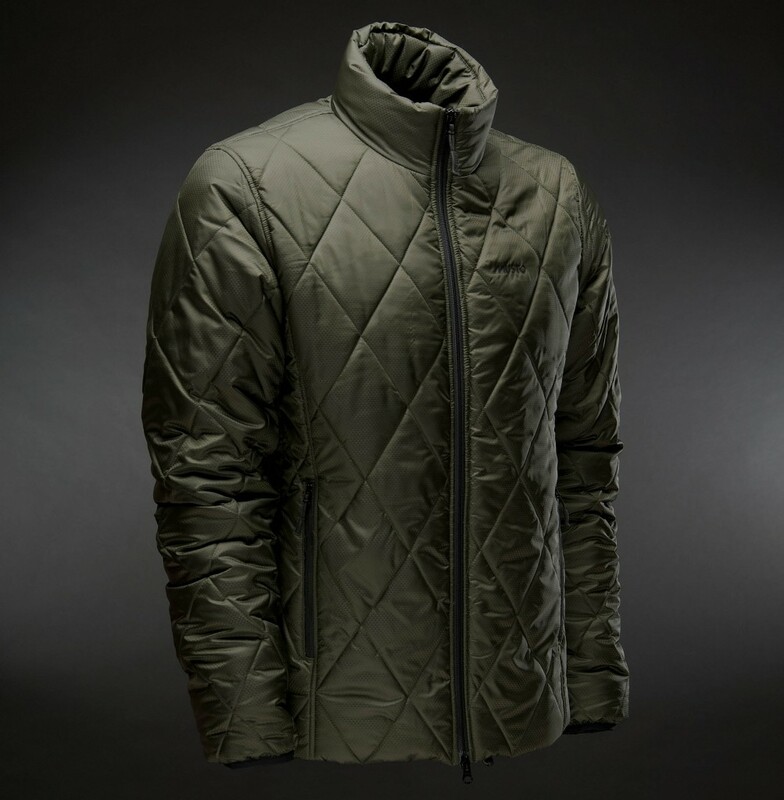 The new Quilted PrimaLoft® Jacket and Gilet are extremely low on bulk to give complete freedom of movement, but don’t let its featherweight appearance fool you, it provides incredible warmth; warmth sufficient enough to maintain shooting performance in cold conditions. The great thing about these little fellas is that the waterproof properties, i.e. the DWR finish and the water repellent wadding, give standalone versatility – perfect for the beginning or end of the season when you don’t want to be getting too hot. Whether you go for the jacket or the gilet hinges entirely on preference; some choose both so they have weather dependent options. 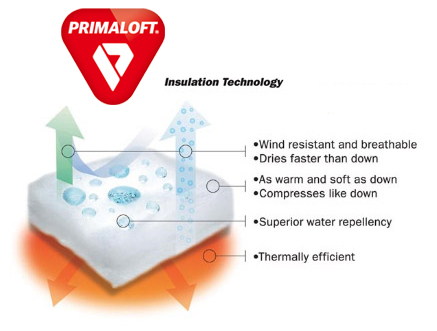 Widely recognised as the highest performing high loft, synthetic insulation available on the market today, PrimaLoft® is lightweight, breathable and has a high water-repellency so the wearer remains dry, warm and comfortable even under the most extreme conditions. It takes its inspiration from nature as it is structurally designed to mimic down, offering superior performance for high quality, cold weather clothing. The ultra-fine fibres of PrimaLoft® insulation form a tight collection of air pockets that trap heat from your body and keep the cold out, providing excellent warmth to weight ratio that keeps you warmer. It is proven to be warmer, drier, softer and more compressible than most other insulations. This is the layer that needs to prove itself! 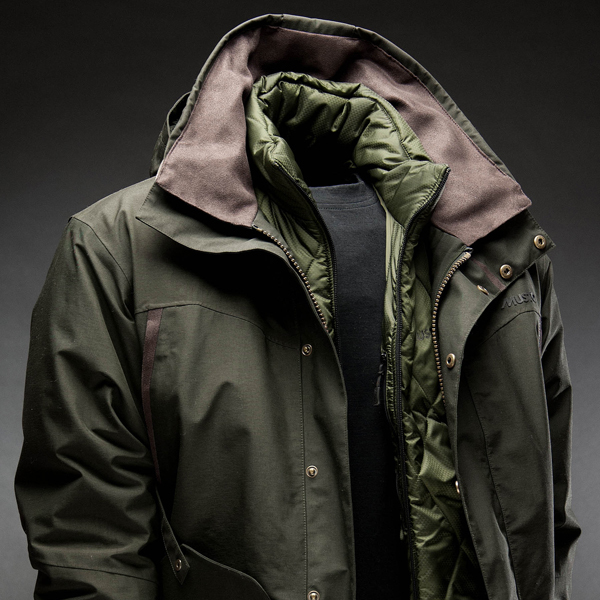 The new Musto Storm Jacket is dedicated to providing comfort in the field whilst shooting. It utilises a GORE-TEX® two-layer laminate fabric similar to those used in Musto sailing gear and it acts like a second skin. Most of us have heard of GORE-TEX®, probably because it’s the world leading waterproof fabric, it’s the most durable and highly breathable waterproof construction around. 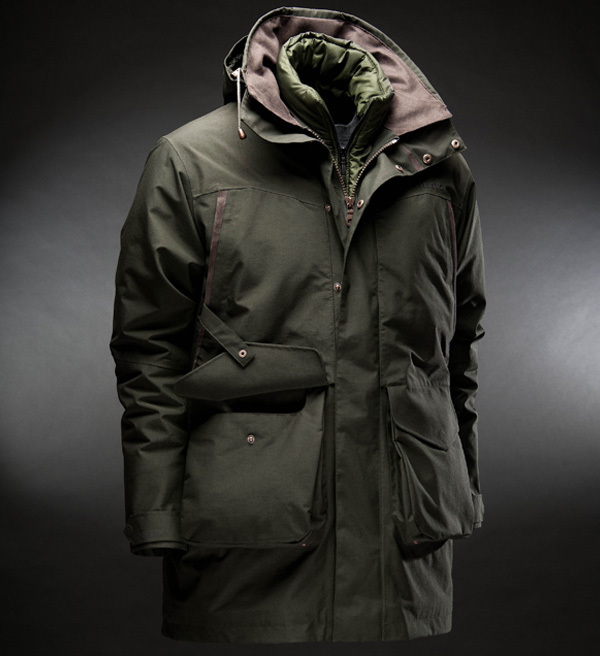 As well as its technical properties, the Storm Jacket comes with an abundance of great shooting jacket features. It has huge cartridge pockets with a grown over pocket flap design, super warm handwarmer pockets which are zipped for extra security (you will also find your cartridge pocket retainers in them) and an inner zipped poacher’s pocket. There is a handy pull down waterproof seat flap as well as a whistle retainer in the storm flap. You’ll find underarm articulation to increase freedom of movement and a non-restrictive action back. The removable peaked hood has a concealed front and side profile adjustment, while the extra high shaped collar protects you when facing extreme weather. The thick eight gauge zip is durable and easy to use and all of the studs are concealed throughout to reduce gun stock scratch potential. As well as being durably waterproof, highly breathable and windproof, the Storm gives that extra bit of comfort and warmth through small details such as the hand warmer zips zipping up so your wrist isn’t resting on the zip itself, adjustable outer cuffs and a soft Lycra inner cuff with a durable water repellent finish. So this winter, why not give the Musto Three-Layer-System a go, or build your own similar layering system based on the fabrics suggested here. Keeping comfortable and warm in (what feel like) Arctic conditions will never be the same again, this really revolutionises the whole concept of layering because you never feel weighed down or restricted in the quest to keeping warm again! 3 layer system, GORE-TEX, Musto, Musto 3 layer system, Musto Shooting Clothing, Musto Shooting Jacket, Musto Three-Layer-System, PrimaLoft, Shooting Jacket. Bookmark.